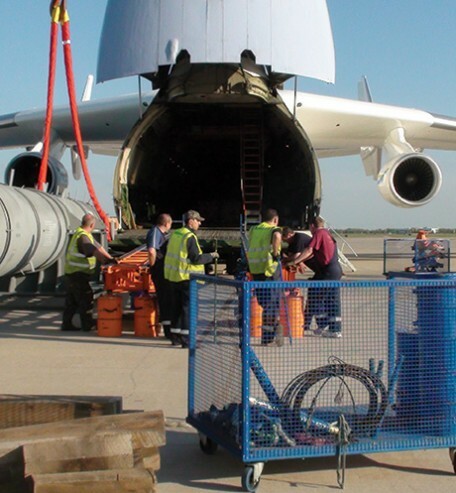 After extensive project planning, the Belger team successfully unloads refinery vessels from the world’s largest aircraft. 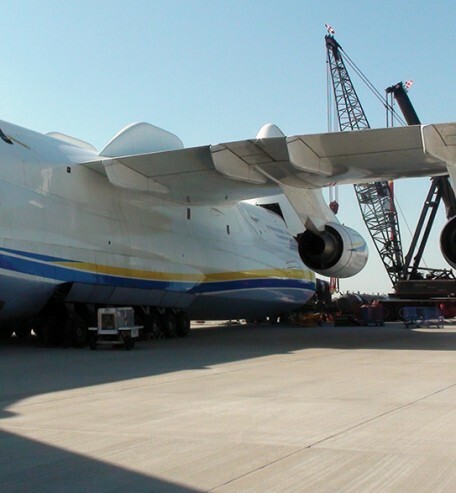 Using a 200-ton Link-Belt HC-248 truck crane and a 250-ton Link-Belt ATC-3250 all-terrain crane, Belger crews carefully remove one of two tertiary reactors from the cargo bay of a Russian-built Antonov AN-225 for transportation to a southeast Kansas refinery. 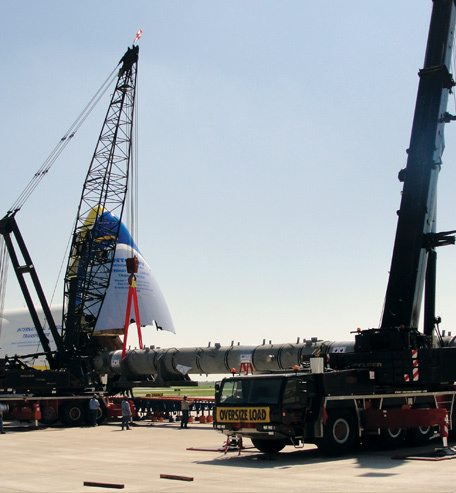 In addition to the Link-Belt cranes, a 30,000 lb capacity forklift was used to handle the nine truckloads of crane components and equipment required for the unloading tasks.